Home / Stories / CONVIVIAL PURSUITS. Independent sources declare that the best place to celebrate life, liberty and the pursuit of happiness this month is right here on The People’s Coast . Whether you prefer a dazzling display of pyrotechnics, a star-spangled skyline, an all-American barbeque or an old-fashioned ice cream social, things are definitely looking up for you up and down the Oregon Coast this month. Feel free to join us! Astoria is serving up an old-fashioned celebration in the small-town community of Warrenton. 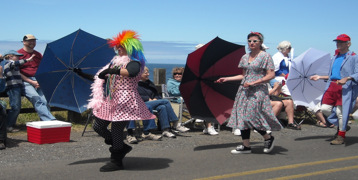 The “La de Da” celebration in Yachats features a pancake breakfast, ice cream social and whimsical parade. Coos Bay is hosting a Family Fun Day with family competitions and kid-centric activities. Tillamook celebrates with an all-American barbeque bouncy houses & hot dogs for the kids and wine tastings for the adults! But wait, there’s more! You’ll ooh and ahh at the other pyrotechnics lighting up the coastal skies over Depoe Bay, Waldport, North Bend, Florence, Seaside, Lincoln City, Gleneden Beach, Newport and Winchester Bay. Didn’t we tell you things were looking up? The festivities continue at the Clambake & Seafood BBQ in Newport, the July Jubilee in North Bend, the three-day OceanFest celebration in Winchester Bay, the Summer Festival in Toledo, the 103rd annual Lincoln County Fair in Newport, the toe-tappin’ knee-slappin’ performances at North Bend’s Little Old Opry on the Bay and at several locations during the Oregon Coast Music Festival in Charleston, Coos Bay and North Bend. Looking to exercise your freedom of movement? Try the Fit Friday Hike in Charleston, the Mayor’s Firecracker Run or Art and Wine Walks in Coos Bay, the Strider Healthy Hikes in Bandon or Coos Bay, sandboarding in Florence, skateboarding in Seaside and Toledo or the Barrel to Keg team relay race from Philomath to Newport (bonus points: there’s a beer garden at the finish!). Go with the flow in a canoe or kayak excursion of the South Slough Estuary in Charleston or Siletz Bay in Lincoln City. 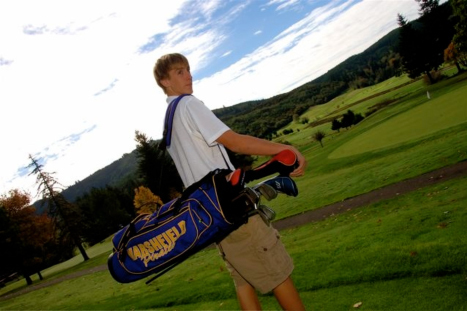 Hit the links at the Watson Ranch or Sunset Bay golf courses in Coos Bay and Charleston. Stroll through the natural wonders at Darlingtonia Wayside in Florence, Merritt Lavender Farm in Bandon or Shore Acres Park in Charleston. And if all that activity still doesn’t tire you out, sign up for the Oregon Coast Adventure 10-mile bike tour of the stunning Three Capes Loop. You’ll have a wheel good time! Prefer to watch others exercise their options? Well, sit and stay for the annual Dog Agility Show in Newport, unleash the kids to sing and dance at the Tide of the Toddler event in Charleston or just sit back and take in the gyrations of Whitesnake or the comedy stylin’s on display at Chinook Winds Casino in Lincoln City. Just because it’s summer doesn’t mean we all can’t learn a thing or three. Inform the kids about the South Slough Estuary summer camp or take an interpretive birding tour of the Estuary in Charleston. Plant yourself in one of the 50-plus educational classes to learn the secrets of “gardening to live well” in Newport. Refine your good tastes in a hands-on Pizza, Summer Salads or Italian Summer Feasts class at the Culinary Center in Lincoln City. Or sink your teeth into a tasty meal at the Culinary Institute in Coos Bay or the sinfully rich fudge at the Big Wheel General Store in Bandon. Why limit your summer to cultivating a farmer’s tan, when you can take your pick of a bounty of local produce and art at farmers’ markets up and down the coast, including Astoria, Seaside, Cannon Beach, Manzanita, Tillamook, Lincoln City, Newport, Toledo, Waldport, Yachats, Florence, Coos Bay , Port Orford, Bandon and Brookings. Okay now, all that food talk is making us really sleepy. Let’s exercise our freedom of choice by finding the perfect place to pursue a little relaxation and maybe a quick summer nap. Surfsand Resort in Cannon Beach has a Grand Trippin’ Package designed just for grandparents and their grandchildren. Microtel Inn & Suites in Seaside is offering extended check-out times to thwart that annoying alarm clock. Inn at Cape Kiwanda in Pacific City provides a nice fleece blanket for old Rover or tired Grandpa to nap on. Old Rover (and Grandpa) are also welcome guests at pet-friendly Shore Pines Vacation Rentals in Pacific City, Rogue Public House in Newport and Edgewater Cottages in Waldport . If you’re looking for a different kind of dogleg, Mill Casino Hotel has a Golfer’s Getwaway Package complete with discounts and transportation to the Watson Ranch Golf Course. The Coho Oceanfront Lodge in Lincoln City has two 100 percent ADA compliant rooms. And, ahoy, Loon Lake Lodge and RV Resort’s accommodations in Reedsport include cabins, yurts and – wait for it – two houseboats. Just remember: Wherever you go and wherever you stay on The People’s Coast, you’ll always find friendly, convivial people more than happy to assist in your pursuit of happiness. How liberating is that? Sometimes when you’ve just seen fireworks, it’s best to keep the experience to yourself. This is not one of those times. Share your stories of awesome coastal views and experiences with us online, on Facebook or via Twitter. And celebrate the moment all over again. Looking for an awesome experience on The People’s Coast? Explore our Mile by Mile Guide for everything you’ll need to plan for and enjoy an outstanding “Adventurecation.” Remember: It’s free for the asking. Independence Celebrations on the Oregon Coast! Fireworks over the ocean at dusk are really done right in Boiler Bay at the north end of town. A free shuttle runs from 5:00pm until the event is over as parking is limited in the park. Bring your jackets, and a blanket to sit on. Concessions will be available. You are encouraged to leave your dogs at home as this is not always fun for them. 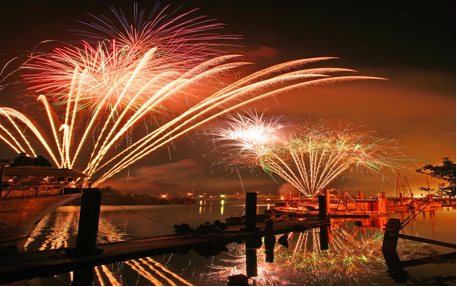 Don’t miss this spectacular fireworks show over the bay at the Mill Casino Hotel, North Bend, Coos Bay. Show starts at dusk (approx. 10:00pm ) Call for more information. Old Town Florence extends an invitation to enjoy food, shopping, live outdoor music, and fireworks to celebrate the 4th of July. Shops and restaurants will be open late and offer fireworks’ specials. 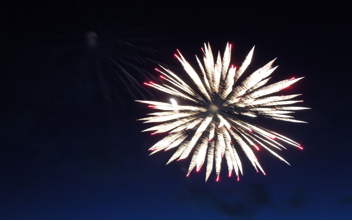 Celebrate an old fashioned 4th of July in the coastal community of Warrenton. The events begin at 12:00 pm with a BBQ at the Warrenton Fire Department at 225 S. Main Street followed by a family friendly parade that passes right by the fire department at 3:00pm. After strolling through Warrenton, you can head to Astoria’s waterfront for a terrific fireworks display above the Columbia River. The 2011 Fireworks display, produced by Western Display Fireworks, will fill the sky above Columbia River. The fireworks are shot from the East End Mooring Basin towards Downtown Astoria beginning around dusk – approximately 10:00pm. 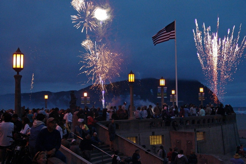 Come celebrate your Independence in Seaside with a Parade, Old Fashioned Social and cap the evening with one of the finest and largest fireworks shows in the Pacific Northwest! Parade begins at 11:00 am., Social begins at 12:00pm with the fireworks kicking off at 10:00pm. The festivities kick off at 4:00 pm on Monday, July 4th starting with an all American hamburger and hot dog barbecue and live music by local musician, Rod Whaley. Bouncy houses will be available for kids and a festive selection of red, white and blue wine tastings will be available for adults. Local rock n’ roll band the Oyster Shooters, hit the Blue Heron stage at 6:30pm, to be followed by one of the largest fireworks displays on the Oregon Coast! Fireworks begin at dusk! $5.00 Per Person for the Barbecue. $3.00 Per Vehicle Parking Donation. Fireworks on the Bay at SW 51st in Taft at dusk. Gleneden Beach 4th of July Celebration includes Pancake Breakfast from 8 – 11AM, Craft & Food Fair from 10:00am – 3:00pm, and 17th Annual Parade at 1:00 pm. 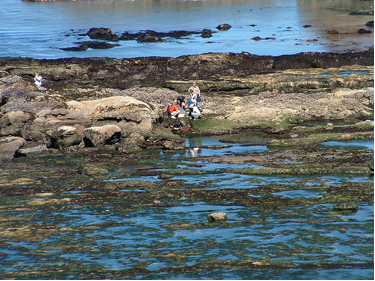 Spend the 4th in Yachats! 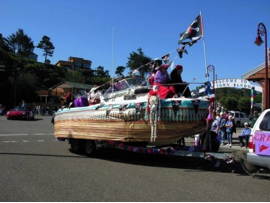 Start out with Lions Pancake Breakfast, 7:30 – 11:30am at Yachats Lions Hall, followed by the Whimsical, low-tech La de Da Parade at Noon sponsored by the Area Chamber of Commerce. After the parade, drop by the 7th Annual Fourth of July Pie & Ice Cream Social at Yachats Commons, from 11:00am – 3:00pm. Explore the town for an afternoon of great food, entertainment, outdoor crafts show, and live music. Find a place on the beach by the mouth of the Yachats River to watch the afternoon Duck Race. From the same beach or from almost anywhere downtown enjoy the Spectacular Fireworks at Sundown over the Yachats bay! The most spectacular fireworks display on the Coast. Visitors and locals grab a spot, fire up the barbecue or picnic and settle in for a night of fun. A Car cruise and other events round out your stay. Fishing ponds, face painting, FREE swimming, family competitions, clowns, kids entertainment, Boy Scouts, Monkey Bridge, Photos from the Heart, Furry Friends Therapy Dogs. Crafts and goodie bags, food available, and much more. Fireworks provided by the City of Coos Bay at dusk by the waterfront. Mingus Park and the Coos Bay Waterfront. The Wine walk starts at Coos Bay Visitor Center on Central & Hwy 101. Visit various downtown businesses to taste wine and shop. Commemorative wine glasses will be sold for $10 each with proceeds benefitting Egyptian Theatre Preservation Association. Maps are available. Downtown Coos Bay, 5:00pm – 7:00pm. For more information, contact Cindy Rawlings at The World. These hikes focus on getting our hearts pumping while remembering that a natural trail requires more care in where you step. Please dress in layers, wear hiking shoes or sneakers. These hikes are free and open to the public. 10:00am – 11:30am. For more information call the Slough. 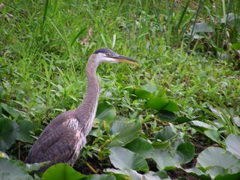 Join a South Slough interpreter and explore the shores of Charleston in search of winged wildlife. $1 per birder. Interpreter, spotting scopes and binoculars provided. Held the first Saturday of each month, 8:00am – 10:00am. Meet at the South Slough Estuary, 61907 Seven Devils Road. Explore the South Slough on a trail that flows with the tide. Provide your own canoe or kayak (no inflatables or pedals), paddles, PFDs, water and lunch. Be prepared to get feet and legs wet and muddy at launch points. A driver and shuttle will be provided. Trips may be cancelled up until launch time due to hazardous conditions. There is a 3 boat minimum and 8 boat maximum. ($15/boat). South Slough National Estuarine Research Reserve, 9:00am – 2:00pm. Our 30th Birthday Gift to you! An evening of knee tappin, toe stompin songs and dance to start off the season. The comedy team will split your sides with their usual off-beat humor that Little Ole Opry has made famous. No admission but this event usually sells out, so you still need to reserve your seats. Use Code “FREE” when you order your tickets. Little Theatre on the Bay. 2100 Sherman Ave, North Bend, 8:00pm. Call for more information. Mingus Park and the Coos Bay Waterfront, 1M, 4km, 10:00am. Call Rex Miller for more information visit or visit website. Interpretive Paddle Trips at Siletz Bay National Wildlife Refuge at 5PM. Free. To register, contact Lindsay Raber. The Lincoln County Fair returns for its 103rd year & you are invited to come and play in Our Playground! Ride the rides, check out the exhibits animals and demonstrations and what is a fair without “Fair Food”. There will be a Motorsports Extravaganza, a 4-H Horse Fair & Bull-O-Rama and a concert by BomShel! The Event will be heldHours are 10:00am – 10:00pm Friday & Saturday and Sunday, 10:00am – 6:00pm. For more information, visit the website. A Fast paced, fun and entertaining family event with food, vendors & free admission! Sponsored by Willamette Agility Group (WAG). Friday, July 8th from 6:30pm to 9:00pm; Saturday, July 9th from 8:00am to 4:00pm and Sunday, July10th from 8:00am to 4:00pm. Happening at the Newport Middle/Intermediate School, 825 NE 7th Street in Newport. Bring your young ones, 1 to 5 years old, to the South Slough for play and discovery. We’ re going to dance & sing, read stories, make a craft & explore the natural world! ($1/toddler) 10:00 am – 11:00 am. This year’s theme, Gardening to Live Well, will have over 50 educational classes and workshops featuring all facets of gardening & is open to all levels of gardening experience, from beginners to seasoned veterans. Examples of some of the classes offered include Gardening on the Central Coast, Native Plants, Maintaining a Greenhouse, Container Gardening, Plant Problem Diagnosis, Edible Gardens, sessions on how to stay fit while gardening, and more! at the Newport Intermediate School. A self guided walking tour, 2nd Thursday of each month. Featuring local Artists, tasty food and most especially fun! Maps are available. Various locations 5:00 pm – 8:00 pm. Contact Crystal Dolphin for more information. Comedy on the Coast featuring Harry Basil, Don McEnery, and Alysia Wood at Chinook Winds Casino Resort at 8PM. Cost: $15. Come on over and enjoy three fun filled days at the bay. Live music, Beach Blvd, Bazaar, village wide yard sale, open house at the shops, famous seafood barbecue, games for young and old. Coast Guard Demonstrations. A summers worth of fun packed into three days! Various events in multiple locations throughout this Birthday weekend for North Bend. Contact the North Bend Visitor Center for more information. 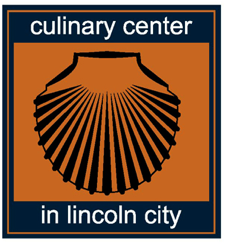 Hands-on Summer Salads cooking class at the Culinary Center in Lincoln City from 11:00am – 2:00pm. Cost: $50, includes meal and wine. Call Chef Sharon Wiest for more information. 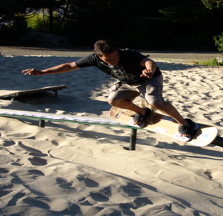 Sand Master Jam, is the longest running sandboard event in the world! 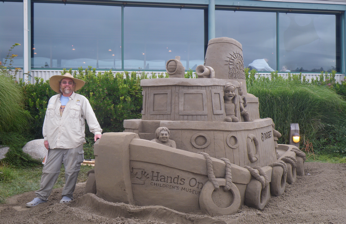 This year pro champion sand sculptor, Bert Adams, who will spend the weekend carving a masterpiece out of sand as well as giving sand sculpt lessons every hour to our visitors. Coupled with our main focus, sandboarding, we will have rail slides, slalom, dune buggy tours and helicopter rides taking place at the park. There will also be special jumps at Three Rivers Casino! Join us for the most fun filled weekend we have ever offered! Short Hike: 2.7 mile hike from Empire Docks to Hull St at John Topits Park. Long Hike: 5.6 mile hike from Empire Docks to Ferry Rd Park in North Bend. Meet at Ferry Rd Park at 8:30am then go to Empire for start of hike. Go N. on Hwy 101 through North Bend – turn right on Ferry Rd. Park 1 mile on left. For more information contact Bay Area Hospital or [email protected] . Toledo saves its fireworks for the annual community celebration held on the 4th weekend in July. The festival is held on Memorial Field in downtown Toledo featuring a logging show, carnival, festival food and craft booths, singing and baking competitions, bingo, beer garden and more. A grand parade is held Saturday at noon, and fireworks are set off Saturday at 10:00pm. Admission $6 per day. Hands-on Italian Summer Feast cooking class at the Culinary Center in Lincoln City from 11AM – 2PM. Cost: $50, includes meal and wine. Call Chef Sharon Wiest for more information. The 1st annual “Barrel To Keg” relay race, is a “Race Against Poverty” starting at the Harris Bridge Vineyard west of Philomath and finishes at Rogue Ales Brewery in Newport. The route runs through 68 miles of some of the most beautiful backroads of the Oregon coast range. Anyone can run! The entry fee is $50 per person. Don’t worry if you don’t have a team, we’ll get you set up! Proceeds from the race benefit Community Services Consortium, a public nonprofit organization that has been helping the people of Linn, Benton and Lincoln counties overcome poverty for over 30 years. The post-race festivities will be at the Rogue Brewery in Newport at 5:00pm, and are bound to be a blast! Rogue Ales is providing a beer garden! All runners will receive a complimentary beverage ticket (beer, soda, bottled water) in their race packets. Rogue will also have a food station with traditional summer picnic foods available to purchase. Hands-on Pizza cooking class at the Culinary Center in Lincoln City from 6 – 9PM. Cost: $50, includes meal and wine. Call Chef Sharon Wiest for more information. Whitesnake Rocks Chinook Winds Casino Resort at 8PM. Cost: $31.50 – $46.50. Reg Pullen leads 4 mile tour of historic sites in Bandon. Rated moderate. If you are not up to 4 miles you can stop after the Old Town portion for 1 mile easy hike. Meet near Old Town in the public parking on the east side of Hwy 101 across the highway from The Station restaurant by 9:45 am. For more information contact Bay Area Hospital or [email protected] . Explore the South Slough on a trail that flows with the tide. We’ll provide the canoe. Feet and legs may get wet and muddy at launch points. Dress for wind and rain. South Slough National Estuarine Research Reserve, 9:00 am – 12:00 pm. Minimum 4 participants/Maximum 6. Free! South Slough National Estuarine Research Reserve. Grades 4th-6th are invited to register for days of activities from 9:00 am – 3:00 pm with an estuary theme, culminating in a “camp out” in the South Slough Interpretive Center. Cost is $50 per camper. Come enjoy wine, food, and music to start the 32nd year celebration with our Community Band. July 16 Opening Day Event at Mingus Park with the Bay Area Concert Band, Noon! Admission is Free! Music festival has multiple dates and venues. For more information about OCMF please call. Spend a day in the woods with a Forester! Guided tour through a working forest with a professional forester. Bring your kids and your questions. Info and sign up at Coos Bay Visitor Center. Tours leave from the Visitor Center at 50 Central Ave, Coos Bay. The Seaside Skate N’ Ride Park is a world class facility that started as a grass roots community effort. Built by Stefan Hauser and his company Placed to Ride, Inc., many members of the construction crew were either Seaside skaters or crew members with children who skated. Open from Dawn to 10pm daily, the park is located at 1140 Broadway Street. Drop in, at the Toledo Skate Park, an impressive course, open to bikes, scooters & of course skateboards . Located at 737 NW A Street and open from dawn til dusk. 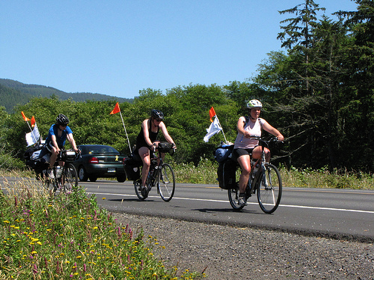 Pedal Bike Tours’ new sightseeing Oregon Coast Adventure is an easy to intermediate bike ride along 10 miles of the stunning 3 Capes Loop, includes van stops at iconic coast sites like Cape Meares Lighthouse and the Tillamook Cheese Factory. Highlights of this 8-hour adventure include touring the coastal towns of Tillamook, Oceanside and Netarts with time to explore, walk the beach and enjoy views of miles of beach and ocean at every turn. The tour includes stops for lunch and sightseeing, and brings guests back to the shop… hopefully with sandy feet, or a souvenir from one of the small towns along the path. Prices include a bike, helmet and guided tour and costs $89. Tours run daily from Pedal Bike Tours’ downtown location starting at 9:00 am – 5:00pm. For more information contact Todd Roll. OCCI offers wonderful culinary lunch & dinners as part of their externship program. Creative & tastefully prepared, these future chefs delight diners every Friday at Noon and 6pm. Lunch is 3 courses for just $20 per person or two for $30. Dinner is 4 courses for $25. The Big Wheel General Store is home to Bandon’s Famous Fudge Factory. Come enjoy a special treat while you browse antiques and wander through our Driftwood Museum and Gallery. We also have Bandon’s best selection of T-shirts, sweatshirts, myrtlewood gifts, local jams & jellies, cranberry gifts and novelties. Awaken your senses by visiting the “Lavender Lady” and discover a charming coastal oasis. 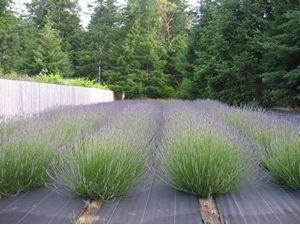 Indulge in beautiful lavender gifts to pamper yourself and stroll through the lavender labyrinth garden. Open daily June – September from 11:00 am to 4:00 pm. Off season guided tours available. Perched on a scenic bluff above the Pacific Ocean, Shore Acres began as a private estate of timber baron Louis Simpson. Since then the plantings at Shore Acres have been designed to take advantage of the area’s mild climate. They have created a “garden for all seasons” – with showy “peaks” of different kinds of flowers every time of the year. 5000 flowering annuals/perennials are in bloom. This professionally designed par 36 course is over 3,000 yards and majestically wanders through a natural valley setting. We are family friendly and welcome everyone to enjoy a relaxed game of golf. The Pro shop is open from 8:00 am to 6:30 pm every day and power carts and club rental are available. Groups and tournaments are welcome, call for arrangements. We are located 3 miles south of Charleston adjoining the Sunset Bay State Park and close to the campgrounds. Play 18 unique holes in a natural forested and wetlands setting. This Par 72 course is open to the public with golf pro and driving range. 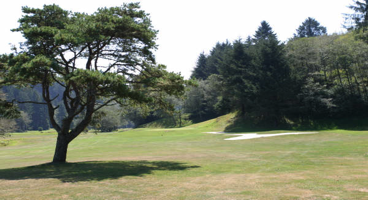 (Formerly Coos Country Club) Nine new holes were added in 1998. 200 vendors each week offering locally-made products that have been hand-crafted, grown, created or gathered by the farmers, craftspeople and artisans. 12th Street from Marine Drive to Exchange Street. If you are looking for fresh, locally grown, fruits, vegetables & flowers, then the new Seaside Farmers’ Market is the place you want to be! Located in the parking lot of TLC at 2315 N. Roosevelt Drive. The 2011 Cannon Beach Farmers Market offers cut flowers in addition to a wide variety of fresh produce, pasture-raised meat, organic cheeses, wild-caught seafood, and hand-crafted artisan food products in the lively Midtown area of Cannon Beach, just minutes away from downtown’s renowned shopping district. The Midtown area is host to fine galleries and restaurants, and is the gateway to one of the loveliest beaches in the world and the majestic Haystack Rock! S. Hemlock and E. Gower St., Cannon Beach City Hall Parking Lot. The market will be full of many good things this year! Sue Wilson aka “The Jam Lady” will be back, and many other favorites, including Karla’s Smokehouse, wine & cheese tastings. New vendors, Thai food and more. Windermere Parking Lot, 5th & Laneda. Fridays: 5:00 – 8:00 pm. Come join in the fun, food, and good times every summer Saturday, at the corner of Laurel and 2nd street in downtown Tillamook. We encourage all our vendors to offer foods and goods that are locally grown and processed. Laurel & 2nd Street. Experience the tastes and talents of The Central Oregon Coast. 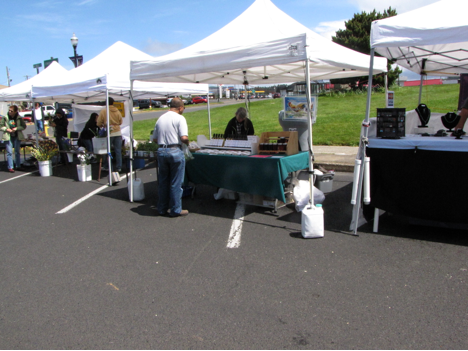 The Lincoln City Farmers Market offers fresh produce, meat, eggs, cheese, fruit, honey, flowers, plants, crafts, & more! 540 NE Hwy 101. Saturdays: 9:00 am – 3:00 pm. Local organic growers, market gardeners bring their fresh produce to the Newport Farmers’ Market. You can find vibrant flowers, herbs, and bedding plants and an assortment of items such as soaps, honey, breads, pastries, fresh eggs, local arts & crafts and much more! Located outside Newport City Hall, Hwy 101 & Angle Street. Toledo’s Street Market is sure to please offering live music, sidewalk sales, craft vendors and fresh foods, all beneath the colorful hanging baskets of Downtown Toledo’s scenic Main Street. place to shop for flowers, potted plants, jewelry, flowers, tie dyes, glass art and so much more. Waldport Community Center, 265 Alsea Hwy. Offering locally grown organic produce and plants and locally made natural crafts. Watch for special events in conjunction with the market. Yachats Commons, Hwy 101 & W 5th St. Corner of Quince and Hwy 126. Farm fresh fruits, vegetables, flowers, plants and more. Downtown Coos Bay. 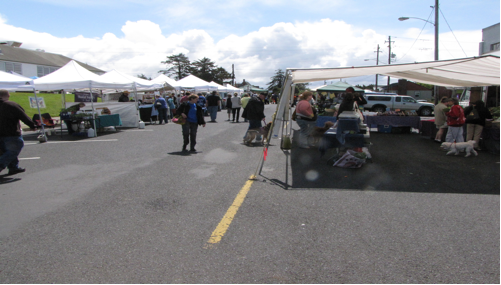 The new Port Orford Farmers’ Market is all about finding a venue for the bounty of North Curry County to be shared with residents and visitors to Port Orford! Located in the Hawthorne Gallery sculpture garden at Battle Rock Park at 517 Jefferson, cross streets: Jefferson, Highway 101. A Selection of fruits, vegetables, organic food, local specialties and crafts. Located at 350 2nd St., Old Town Bandon. The Brookings-Harbor Farmers & Artisans Market is held every Saturday during the summer. Visit with local coast and valley farmers and vendors selling their produce and hand-crafted items. Most farmers accept the Senior Nutritional and WIC coupons. If you grow it, pick it, catch it, make it, or bake it, we want you for our market! Located on the Boardwalk at the Port of Brookings-Harbor. The Surfsand Resort, located along Oregon’s stunning coastline in Cannon Beach, created the Grand Trippin’ package just for grandparents and their grandchildren to share in a coastal adventure that’s sure to create an unforgettable experience for all. The package includes: Two nights lodging at the Surfsand Resort, early check-in & all meals at the Wayfarer Restaurant. A Beach bucket filled with shovel, goggles and maps of Cannon Beach, the History Center tour map and tide schedule. A balloon bouquet and VIP welcome note from Taffy the Puffin. A personal baking and cupcake decorating class with Wayfarer pastry chef. A kite from Pinky’s Kite Factory in Cannon Beach & Wayfarer Restaurant picnic lunch. Ecola State Park day pass and map. Cannon Beach Book Company, Bruce’s Candy Kitchen and Geppetto’s Toy Shoppe gift certificates. The price of the package varies depending on the season and add-ons. Microtel can help your family enjoy more time at the beach with our Stay and Play for ½ a Day service. Extend your checkout time to 3:00 and gain time to enjoy the beach on your day of departure. After the beach come back, clean up, and refresh with our 24/7 coffee, juice and tea service before checking out. Fees for Stay and Play for ½ a Day vary and availability is limited, so please check with our Guest Service Associate upon check-in. We are 8 blocks from the beach, so close enough to walk but far enough to keep your rates reasonable! 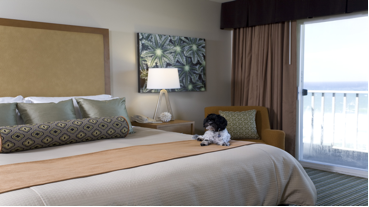 Why not treat your favorite 4-legged friend to a trip to the beach. The “Calling all Canine” package includes a sand bucket filled with healthy treats, tennis ball and Frisbee for a game of catch, pet toys and a bandana to tie around your neck. Dogs love the beach, whether they are chasing seagulls, playing in the surf or digging holes in the sand. We provide a warm water pet wash for sandy fur & paws, beach towel to dry off with, fleece blanket to nap on and doggie treats for all pets who visit the Inn. We treat our pets like members of the family – because they are! Over 20 pet friendly vacation homes make our cozy beach neighborhood safe for all creatures. Enjoy our best friend’s package which includes an amazing gift basket for both Owner and Dog containing treats, toys, mugs, cocoa and more. Take a quick drive through scenic highway 101 and browse the local “Paws in the Sand” beach store with your $25.00 gift card. Call or reserve online today! The Coho Oceanfront Lodge features 2 ADA room types available for our guests. Besides the traditional 32″ Flat Screen HDTV, HD DVD Player, iPod docking station alarm radio, Microwave, Refrigerator, Blow Dryer, French Press that come standard in all of our rooms, these rooms are 100% ADA complient. Spend the night at our Bed n’ Beer, located above the iconic Bayfront Pub that has dog-friendly rooms. There is a two night minimum on Friday/Saturday from May 1 thru Labor Day. To make a reservation, call or email [email protected]. Edgewater Cottages is a “pet friendly” ocean front lodging located approximately 2 miles south of Waldport, on “Big Stump Beach,” between Yachats and Waldport on the central Oregon Coast. Family owned and operated for three generations, Edgewater is an ideal destination for a romantic getaway or a family vacation. Each unique cottage features a kitchen, fireplace, sliding glass door, sundeck, excellent ocean view and easy access to miles of sandy beach. All of our cottages are non-smoking. Reservations are recommended. Loon Lake Lodge sits on one mile of shoreline amongst the towering Douglas Firs and offers Cabins, Yurts, tents and the Waterfront House. In addition the Watersports and Marina offers two houseboats, pontoon boat, ski and fishing boat and many man-powered boats. July 1st to July 4th activities include: Kids’ fishing lessons, patriotic crafts, Decorate your site (be sure to bring your most patriotic decorations) and campfire stories at the beach. This package includes an overnight stay, two rounds of golf transportation to and from and discounted pricing at Watson Ranch Golf. Golf prices are seasonal and tee times are subject to availability. If additional rounds of golf are needed, up to 2 additional rounds may be purchased for $30 per person per 18-holes April – October and $20 per person per 18 holes November – March. To book this special stay, please call reservations.